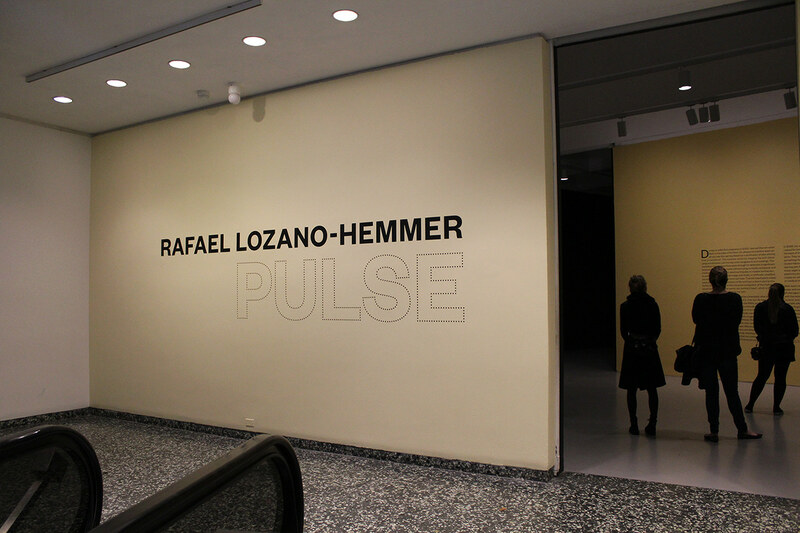 In collaboration with the Hirshhorn's exhibition and curatorial staff, Christine Lefebvre Design developed the graphics for Rafael Lozano-Hemmer: Pulse. 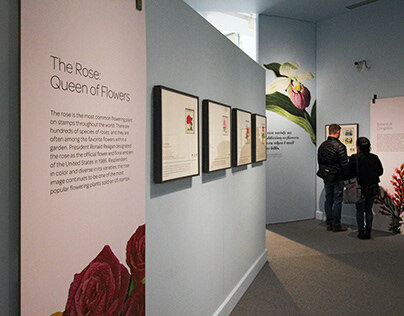 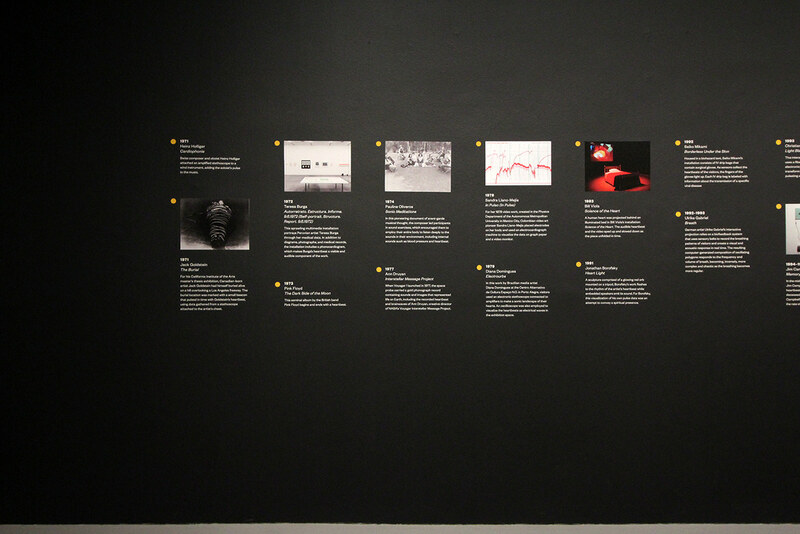 CLD designed the entrance wall treatment, timeline graphics that spanned two walls, didactic graphics, and an exterior poster advertising the exhibition. 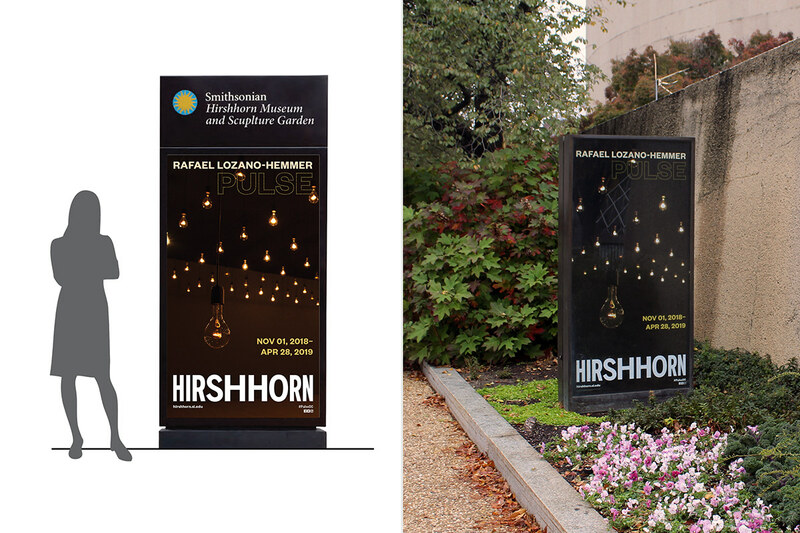 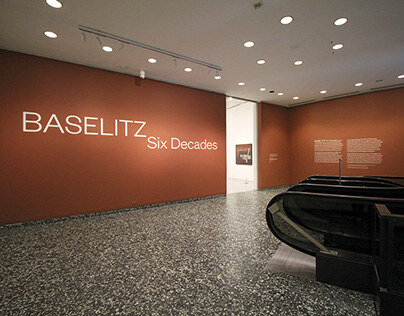 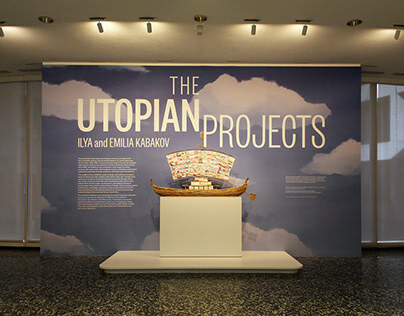 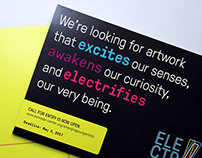 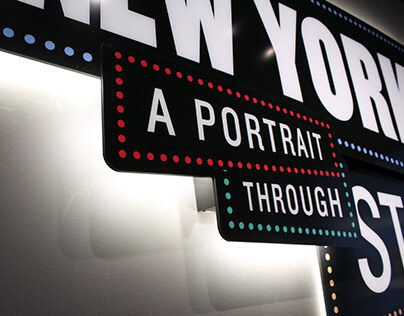 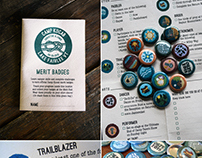 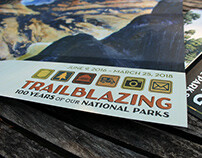 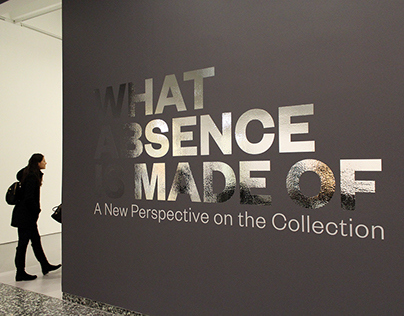 Graphics aligned with the museum's branding. ENTRANCE The title lockup makes use of reflective gold vinyl for "pulse." 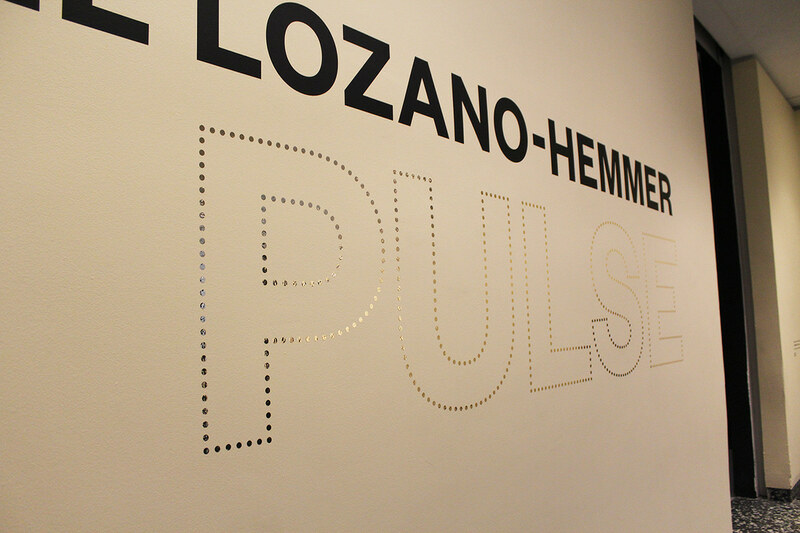 The dotted outline and shimmering gold evoke the hanging incandescent light bulbs in Lozano-Hemmer' Pulse Room installation. 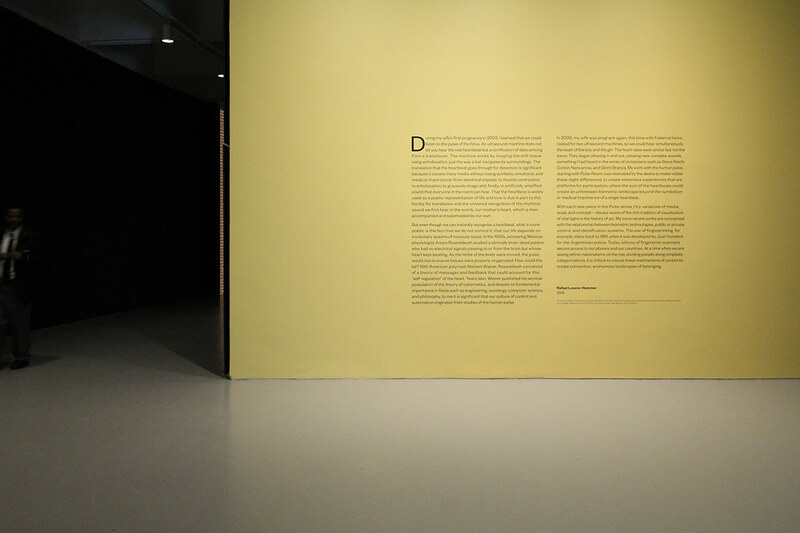 ARTIST'S STATEMENT An exercise in typesetting, the Artist's Statement is displayed prominently on the first wall of the interior galleries. 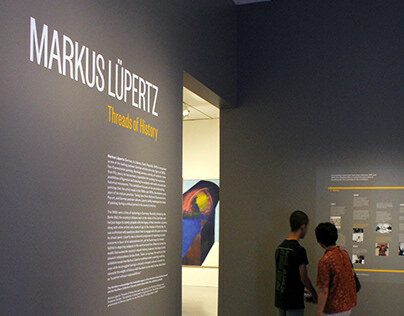 TIMELINE Upon entering the galleries, visitors find a timeline of other artworks that also explore use of the human heartbeat. 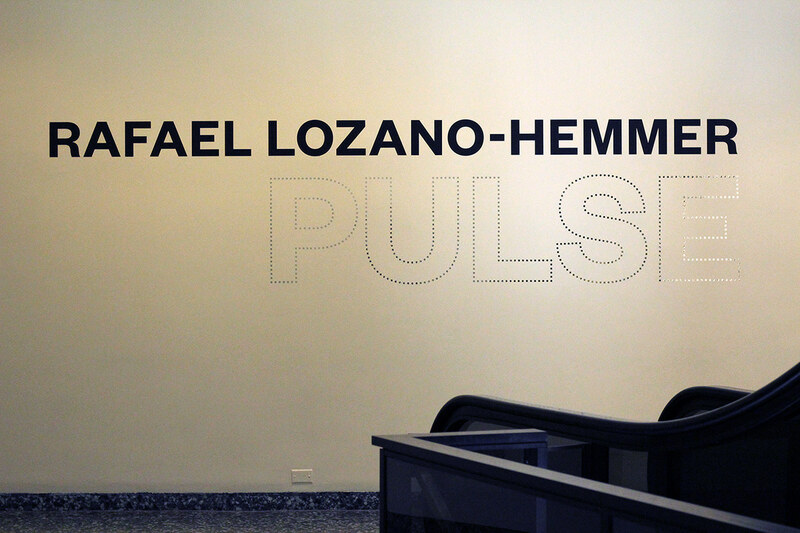 The dot ("pulse") from the title lock-up is used here to mark dates of featured artworks. 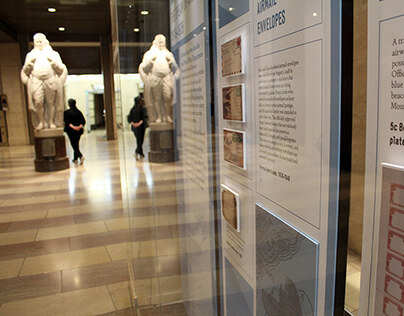 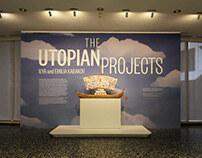 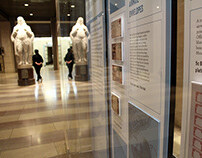 LABELS and directive texts are minimal and held to the museum's existing brand guidelines.